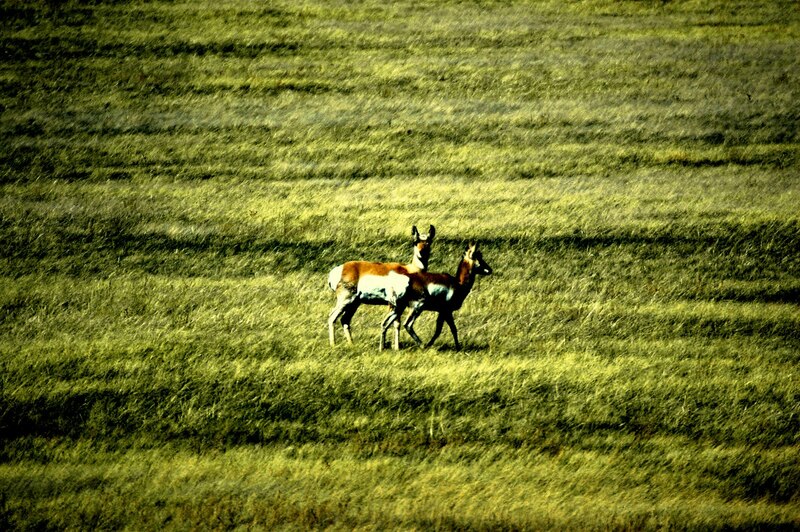 Rifle season for pronghorn opens today. General rifle opener for deer and Elk starts on the 22nd. There have been a number of hunt forecasts out there from the Rocky Mountain Elk Foundation, to the Helena Independent Record. It's not all rosy, but it's far from doom and gloom. We all watched in horror the previous winter as thousands of prongies perished in an extremely harsh Montana winter in R6 and parts of R4. Outdoor life did a great write-up about the trials and tribulations of Warden, Todd Anderson, as he dealt with the carnage. Because of this massive winter die off, pronghorn tags were in even greater limited supply than usual. Hundreds of speedsters crossed the ice at Ft. Peck reservoir in order to escape the harsh conditions, and during spring thaw, they tried to cross back, only to meet either mass confusion or an untimely death by drowning. Seems Pronghorn aren't good swimmers. However, Region 3, 4, 5, and 7 are expecting the annual migration of orange-clad hunters as they head out to the fields in pursuit of the prairie ghost. I'm already seeing photos from friends who were much more fortunate than me in the draw. Goats are going down. Some pretty danged nice ones as well. Oh well, maybe next year. I don't really feel too bad about not drawing a tag, especially since I'm a game hog anyway, according to my good friend, Ben Long. Elk and deer numbers are a mixed bag depending on where you're hunting. Around the Queen City, if you're willing to walk and hunt, chances are you're coming home with an elk, or two. 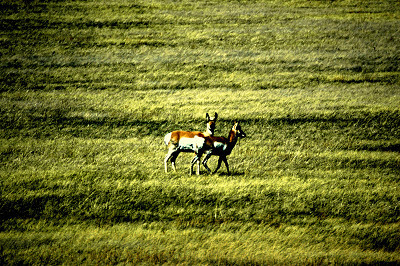 From Mac pass up, hell, to the Badger, elk are thriving. I sat in on a recent meeting of the Sun River Working Group (SRWG) and the bulk of the discussion was the overpopulation of elk on the Sun River Game Range. Currently, about 3,000 elk winter on the game range. It can reasonably hold 2,000. Tags are abundant, and the discussion revolved around the need to harvest cows to bring the herd back to sustainable levels (note: I didn't say objective. Objectives are often times passed more on social tolerance than anything else). Region 4 issued 2,200 elk B tags this year under the 004-80 tag. That license is good for anywhere in R4 on private or DNRC lands. Individual districts in R4 have been upping cow tags as well, as herds continue to increase. What's really interesting though, is that elk numbers for the Sun River herd continue to grow. It's the only herd I know of whose entire habitat has some level of protection.The calving grounds are in the Sun River Game Preserve. The winter range is on the Sun River Wildlife Management Area. The migration corridors on the Front are almost exclusively Inventoried Roadless Areas. These elk are protected from the over-reaching hand of short-sighted people who place immediate gratification over the delayed satisfaction of knowing what it means to provide elk the space they need to live a life worthy of an elk. A significant portion of the herd winters on private land as well. The SRWG has some fantastic participation by the local ranchers who border the Sun River Game Range. They're stepping up to the table to help solve the situation. 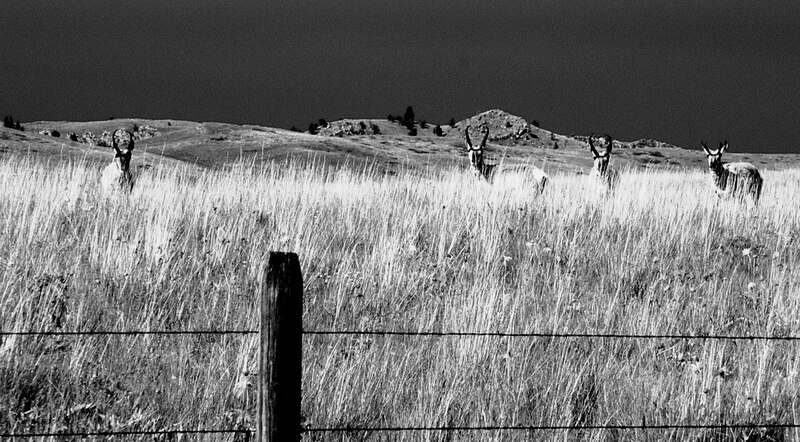 While folks may not always agree on a solution, it's encouraging to see this kind of landowner/sportsmen relationship floushing somewhere in Montana. These kinds of relationships will be critical in adapting to a changing world, where the old ways of managing elk don't always work. A great number of sportsmen and sportswomen are calling on FWP to strategically think about what effective elk management looks like in the future. Places like the West Fork of the Bitterroot are much different than places like the Rocky Mountain Front. The problems are myriad, and they are all being addressed. We won't go in to the West Fork, but suffice it to say, there's some badass advocates working around the clock the help bring balance and bounty back to the West Fork.